It was a reunion between the former Manchester United captain and Cristiano as they had a conversation in his home in the Spanish capital. After the official launch of the Nike Mercurial Superfly Chapter 5 boot in Ronaldo’s abode on Friday, Englishman Rio ferdinand was honored with an interview with his former teammate. 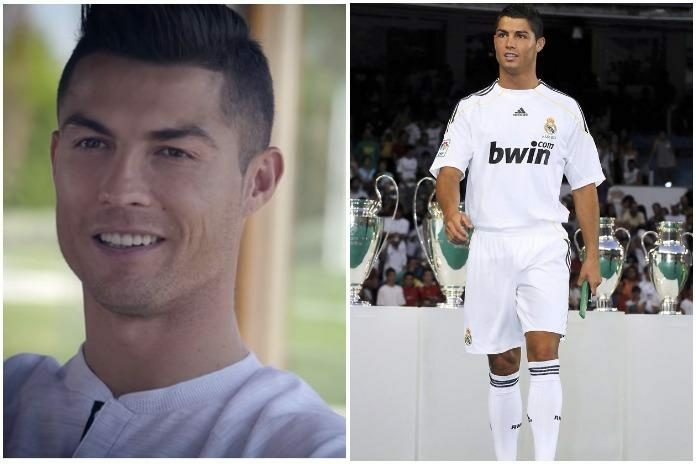 The design of the diamond-inspired boot was mainly focused on his move from Manchester United to Real Madrid in 2009 in a then world record fee of £80m. During the interview, the 32-year-old reflected on his unveiling as a Los Blancos player and the pride he felt during the presentation. “When I landed in Real Madrid, I started to feel the atmosphere. I thought it was a game day because there were so many people in the stadium. It was surprising to have all of these people to come here just to see me. “It was a great surprise for me. It was an unbelievable day for me as well. 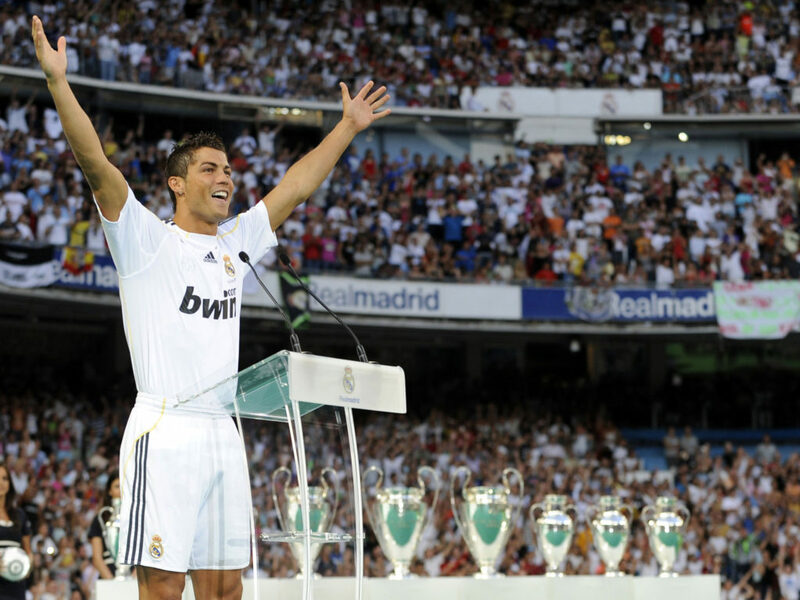 I was so proud and I felt that, the people in Spain really loved football, so it was a great day. “I just thought in my mind, I want to go there and show my level and to show that I’m a different player and this is what i did. “I arrived and in my first season, I did fantastic. We came second and we kept improving every season and it was a great experience. But I never forget the Red Devils,” he laughed. The Portuguese captain has racked up an unbelievable 411 goals in 401 appearances for Los Merengues, overtaking Raul Gonzalez as the all-time topscorer of the club. Nana Kwame is a writer from Ghana. His love for Ronaldo began when the superstar burst onto the scene as a Manchester United player. The Accra native has unconditional love for Real Madrid as he sees the Spanish club to be the embodiment of World Football. Kwame loves to play table tennis during his leisure time, read sports-related news, play FIFA video games and watch Cristiano Ronaldo videos. Writing football stories, most especially about Los Blancos' all-time topscorer, had always been a dream which he is now living through C. Ronaldo Daily. It's with great pleasure that we welcome you on this formidable platform dedicated to avid Cristiano Ronaldo fans worldwide. Sign up and share the fun! NOTE: We encourage intelligent comments and inquiries. Avoid copy-pasted comments just to receive LIKES. Non-Ronaldo fans are invited here as well. However, no racist, religious, homophobic or crude insults and jokes are permitted on CRonaldoDaily.com. Let's keep this site clean and vibrant! 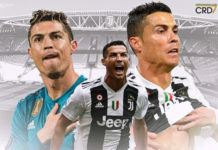 C. Ronaldo Daily is your daily source for CR7-related breaking news, match highlights, career statistics, social media activity, lifestyle buzz, quizzes and more. This fast-growing online community is also the ultimate platform for fans to become aware of how they can look up to Ronaldo as a true inspiration and eventually trigger the greatness in themselves. At CRonaldoDaily.com, breathe 100% Ronaldo! © 2016 All rights reserved. The information contained on this website may not be published, broadcast, rewritten, or redistributed without the prior written authority of CRonaldoDaily.com. Disclaimer: We do not own any video or picture on this platform. The right sources are credited in all our works. We also do not stream matches on our website. We provide listings and links to official broadcasters only.